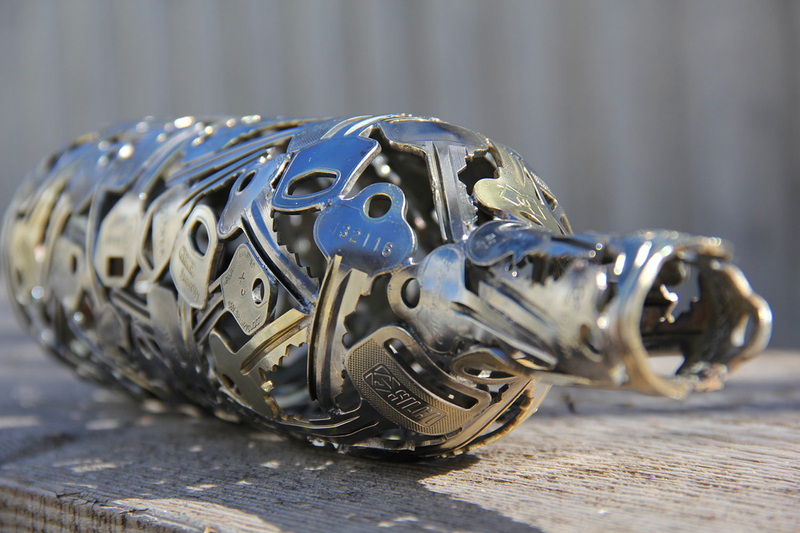 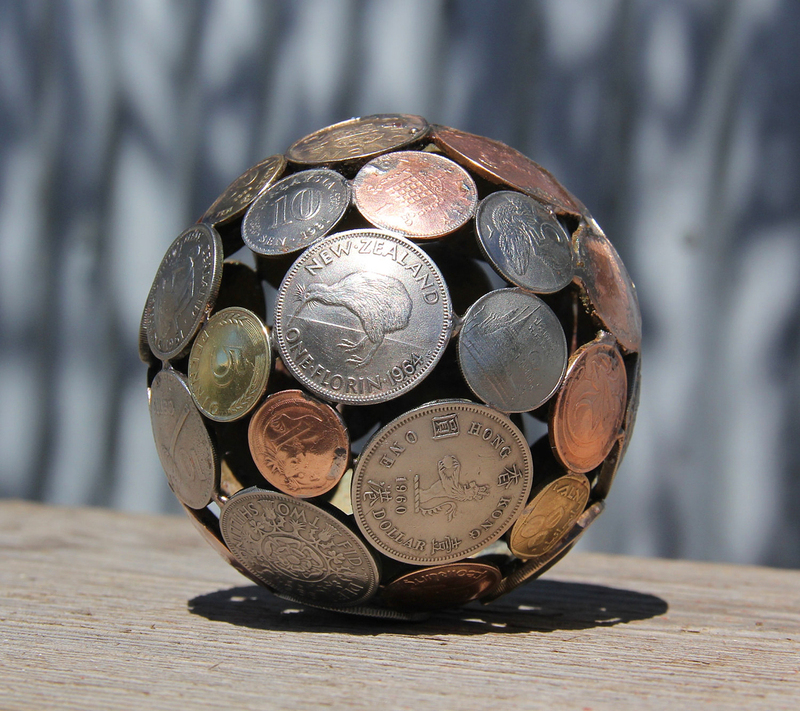 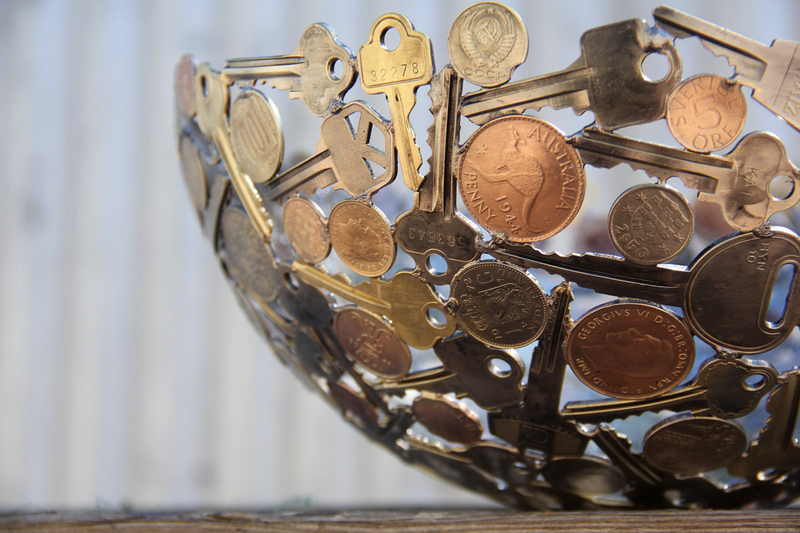 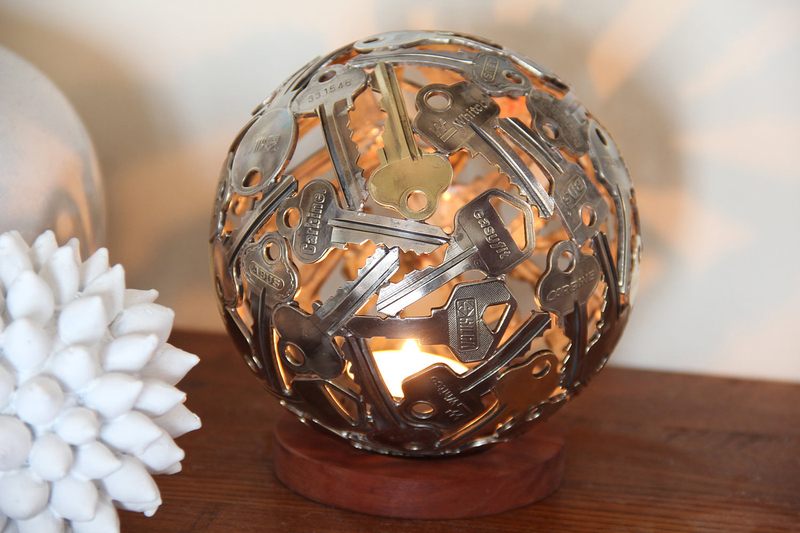 Even discarded keys and coins can be turned into beautiful art with some creativity and the right sort of know-how. 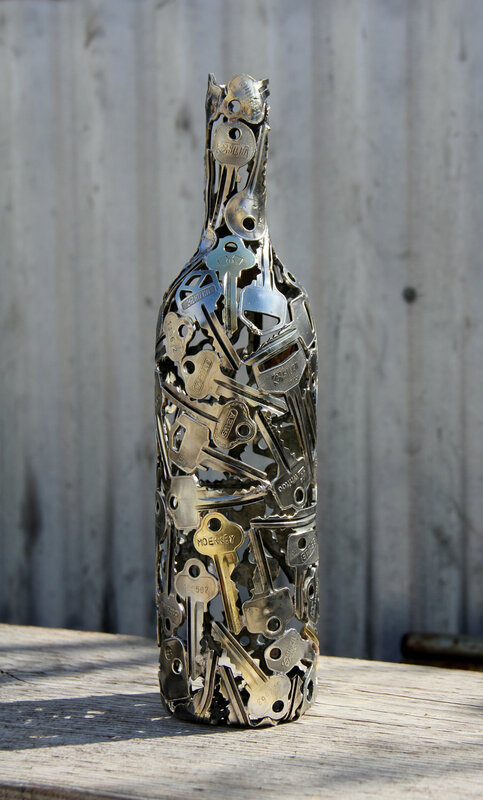 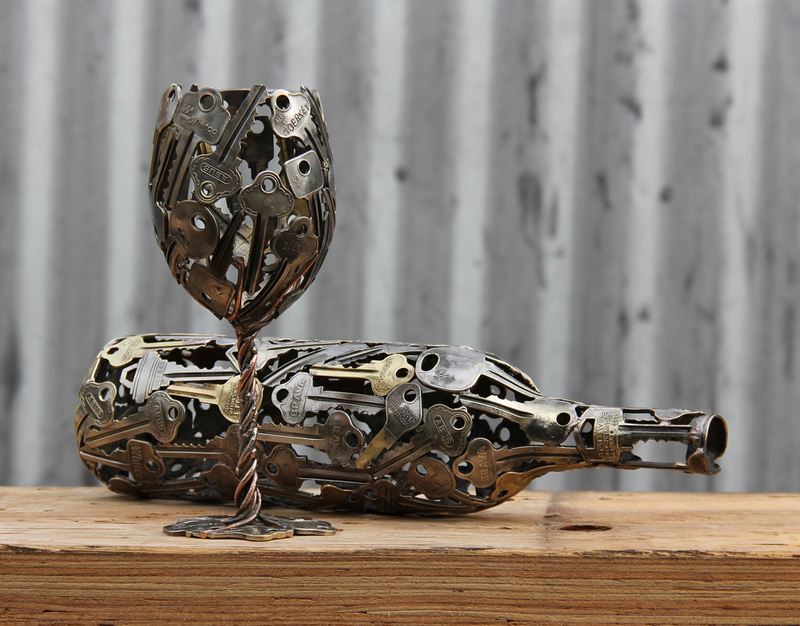 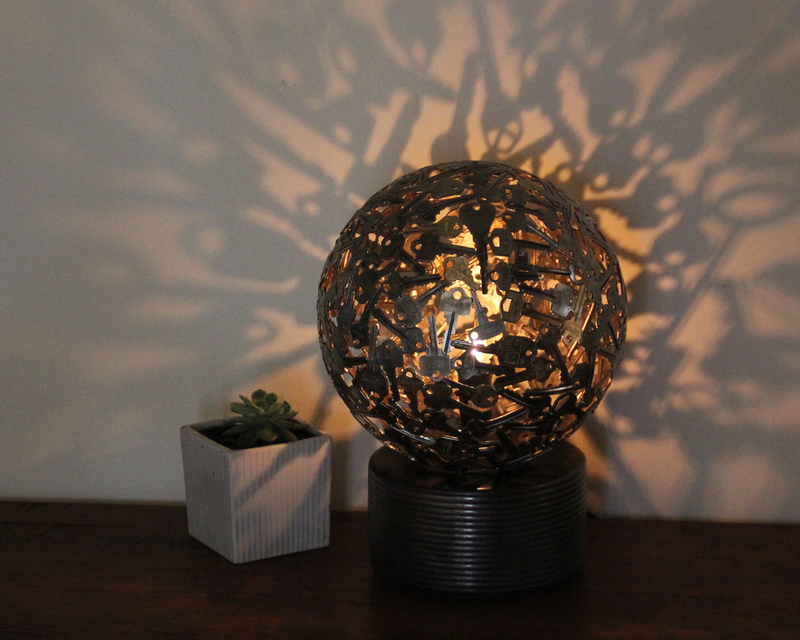 Australian artist Michael (or Moerkey) does exactly that, turning discarded keys and coins into bottles, lampshades and other beautiful recycled metal sculptures. 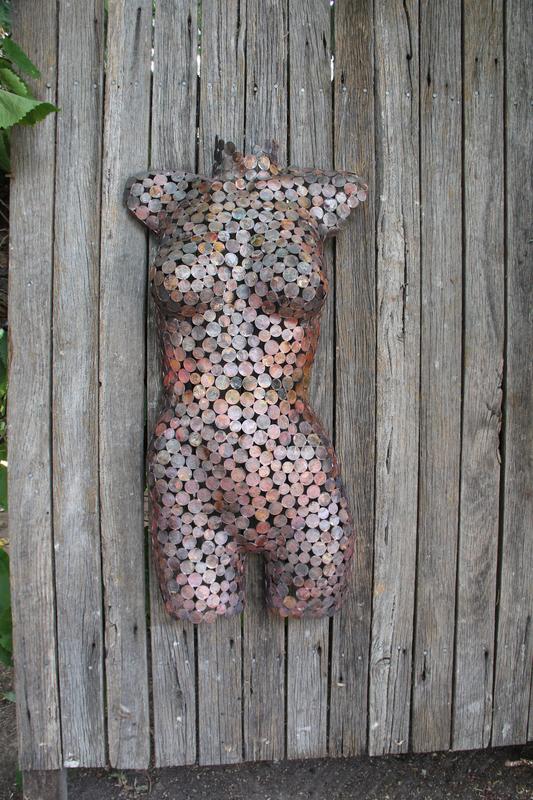 “When I was supposed to be cleaning out my shed, I came across some old copper pipe saved from a previous renovation. 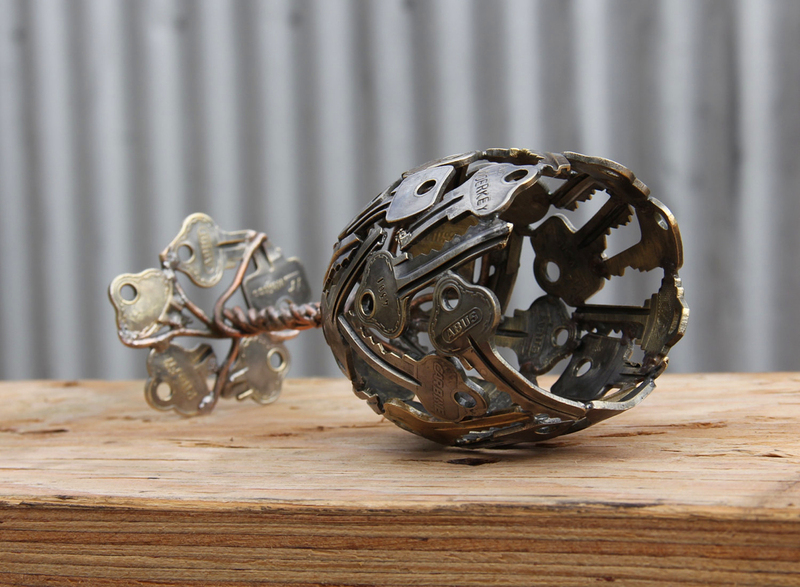 I cut it up into rings and started making it into spheres,” Michael explains on his Etsy shop. 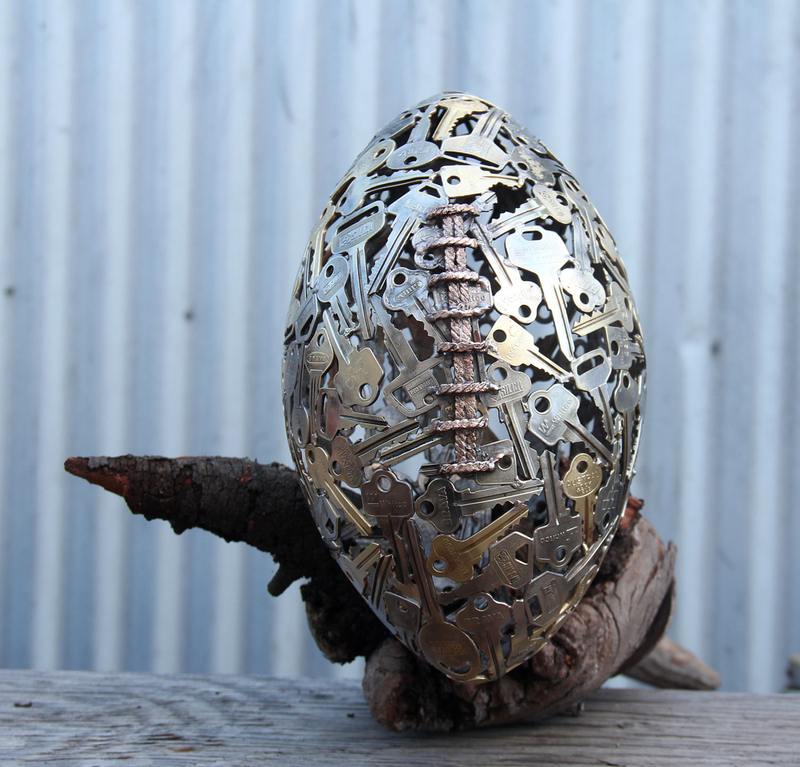 “The first ones were a bit rough but once I worked out the technique I got creative. 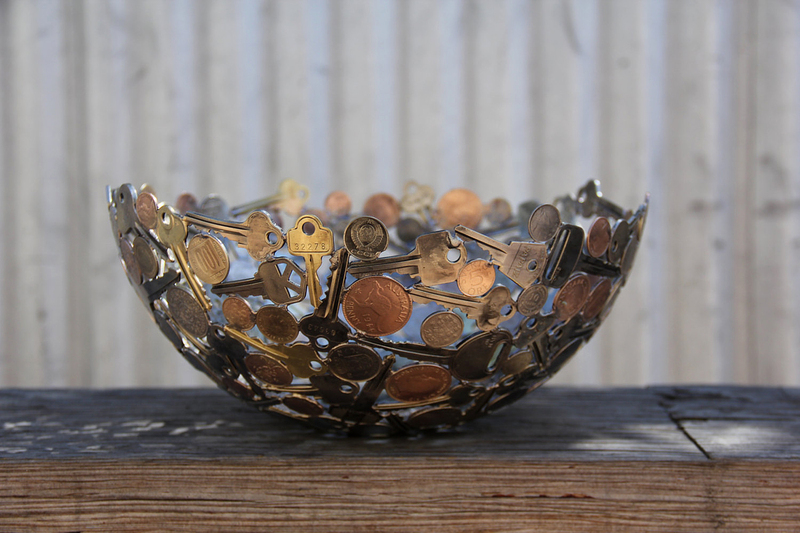 I’m a bit of a hoarder and searched around for all those old keys and copper wire, that were no longer needed, and got creative with them as well,” he added.